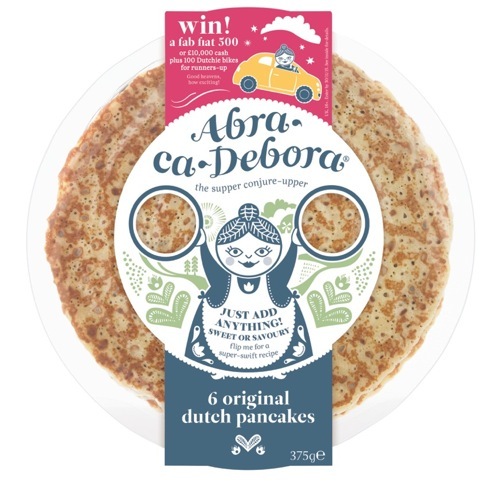 There is something about Shrove-Tuesday which I find really appealing. 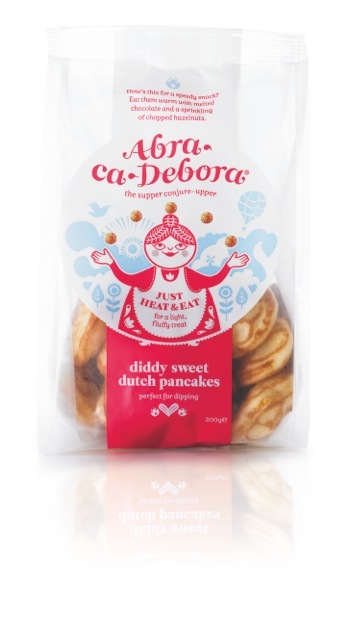 It's a no pressure type of festival and this year it will be even more so with the help of Abra-Ca-Debora "a cook with the magic touch and who has lots of kitchen tricks up her sleeve". 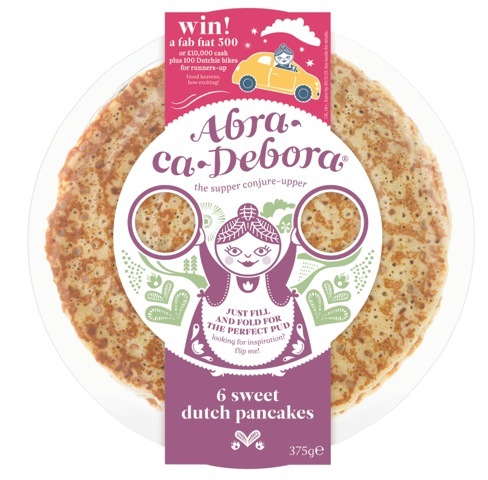 All you need to do is to think about which topping you are going to use with your Abra-ca-Debora pancakes. Mine will definitely be caramelised bananas. And now for the rules. Good luck. For a second entry: Follow me on Twitter @solangeweb, and leave a comment on this blog to let me know. If you are already following on twitter, please, leave a comment so that your second entry is recorded. Each entry will be verified. Update : Proud - this post won the Spice Trail Challenge themed my body is a temple -see round up here loads more healthy recipes. #No Meat Monday or Meat Free Monday are initiatives part of a movement going back to early 2000 which aims at gently limiting our meat consumption on a regular basis. It's also a way of introducing vegetarian recipes in our diet or for vegetarian an opportunity to be exposed and explore different ingredients. This recipe makes use of chestnuts, quinoa and pomegranate seeds. Three delicious ingredients which are often overlooked as they are unusual. What I call "curious ingredients"
Personally, I love chestnuts. A little bit annoying that they make a brief appearance at Christmas time only. I'd like to see more of them on menus. Of course, there is a "little" inconvenient: they are difficult to prepare. But where there is a will... there is a call for vacuum-packed chestnuts. Quinoa which I associate with Gwyneth Paltrow's because there was a lot of nauseating hype around the tiny nutty tasting grain when she promoted her cook-book. For that totally irrational reason and for a while, I refused to try out quinoa, a silly thing to do as it's really full of flavour. This pulse is slightly expensive but it's really worth a try. Pomegranate a favourite in Middle-Eastern cuisine always peps up recipes. Once the fruit is opened the seeds can be used in salads or as snacks. Which leads me to this recipe found in Morrison's magazine and adapted. It originally uses 2 butternut squashes which is quite a lot, one only was plenty for 2 people but I kept all the other ingredients the same so it's packed with flavours. You might be left with extra stuffing, note that it's delicious on its own, warm it up the next day, that's lunch taken care of. Heat the oven to 200°C/180°C fan/Gas 6. Scoop the seeds out of the squash and score the flesh. Place cut side up on a baking tray, drizzle with half the oil and season. Cook for 40-45 minutes. Put the quinoa into a pan and cover with water. Bring to the boil then simmer for 15 minutes. Drain and stir into the onion mix with the nuts and all but 1 tbsp of the seeds. Once the squash are done, scoop out the flesh leaving just the shell. Chop the flesh and add to the quinoa mixture, then spoon back into the shells and bake for 10 minutes. To serve, scatter with the remaining seeds and coriander. This month the theme is challenge is Temple Food… as in my body is a temple. I think this recipe will fit right in.